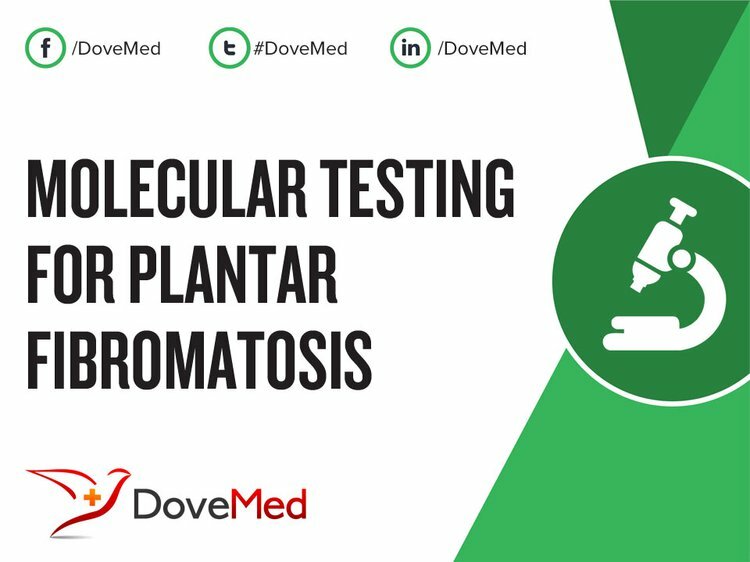 Molecular Testing for Plantar Fibromatosis is a genetic test that is helpful in aiding a diagnosis of plantar fibromatosis. 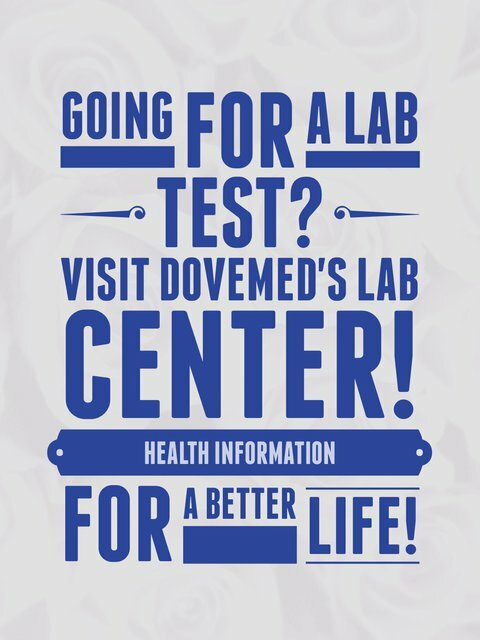 The methodology used for plantar fibromatosis may vary from one laboratory to another. What are the Clinical Indications for performing the Molecular Testing for Plantar Fibromatosis Test? How is the Specimen Collected for Molecular Testing for Plantar Fibromatosis? What is the Significance of the Molecular Testing for Plantar Fibromatosis Result? Knobloch, K., & Vogt, P. M. (2012). High-energy focussed extracorporeal shockwave therapy reduces pain in plantar fibromatosis (Ledderhose’s disease). BMC research notes, 5(1), 542. Veith, N. T., Tschernig, T., Histing, T., & Madry, H. (2013). Plantar fibromatosis—topical review. Foot & ankle international, 1071100713505535. Haun, D. W., Cho, J., & Kettner, N. W. (2012). Symptomatic plantar fibroma with a unique sonographic appearance. Journal of Clinical Ultrasound, 40(2), 112-114. Hafner, S., Han, N., Pressman, M. M., & Wallace, C. (2011). Proximal plantar fibroma as an etiology of recalcitrant plantar heel pain. The Journal of Foot and Ankle Surgery, 50(2), 153-157. Hammoudeh, Z. S. (2014). Collagenase Clostridium histolyticum injection for plantar fibromatosis (Ledderhose disease). Plastic and reconstructive surgery, 134(3), 497e-499e. McNally, E. G., & Shetty, S. (2010, September). Plantar fascia: imaging diagnosis and guided treatment. In Seminars in musculoskeletal radiology (Vol. 14, No. 03, pp. 334-343). © Thieme Medical Publishers. Koudela Jr, K., Koudela Sr, K., Kunešova, M., & Koudelova, J. (2010). Plantar fibromatosis (Ledderhose's disease). Acta chirurgiae orthopaedicae et traumatologiae Cechoslovaca, 77(4), 341-345. Crawford, R. (2011). Diagnosis and treatment of plantar fasciitis. Am Fam Physician, 84(6), 676-82. Yi, T. I., Lee, G. E., Seo, I. S., Huh, W. S., Yoon, T. H., & Kim, B. R. (2011). Clinical characteristics of the causes of plantar heel pain. Annals of rehabilitation medicine, 35(4), 507-513. Walker, E. A., Petscavage, J. M., Brian, P. L., Logie, C. I., Montini, K. M., & Murphey, M. D. (2012). Imaging features of superficial and deep fibromatoses in the adult population. Sarcoma, 2012. Argerakis, N. G., Positano, R. G., Positano, R. C., Boccio, A. K., Adler, R. S., Saboeiro, G. R., & Dines, J. S. (2015). Ultrasound diagnosis and evaluation of plantar heel pain. Journal of the American Podiatric Medical Association, 105(2), 135-140.